The PCGS CoinFacts Condition Census Needs You! Is your coin one of the finest known of its variety? Would you like to have a professional photograph of your coin? 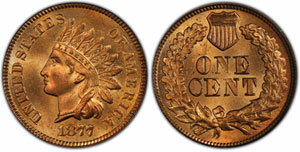 Would you like to have your coin recognized as part of the PCGS CoinFacts Condition Census? This is a limited-time offer. In the case of ties for Condition Census, coins will be acknowledged in the order they are received. Give your coins the recognition they deserve by becoming part of the PCGS CoinFacts Condition Census!